Over the next few days England’s young and hopeful will try and prove themselves in the Commonwealth Games. Jess Judd will be hoping for a medal in the 800m while Jodie Williams is seeking success in the 200m. Judd won bronze at the 2011 World Youth Games and silver at the 2012 World Junior Championships. Now she is after her first medal at a senior competition. With a personal best of one minute 59.77 seconds she is extremely close to the medal winning times that were seen at the 2012 London Olympics. Two of England’s young track stars are fully focused on fulfilling their potential in the coming days of the Commonwealth Games. Williams was the golden junior of her generation, she has an unbeaten sprint record going back five years and a total of 151 races to her name. At both the World Youth and World Juniors she dominated but the transition to senior level competition has not been easy. Injuries have repeatedly hindered her progress, first before the London Olympics and against last winter. 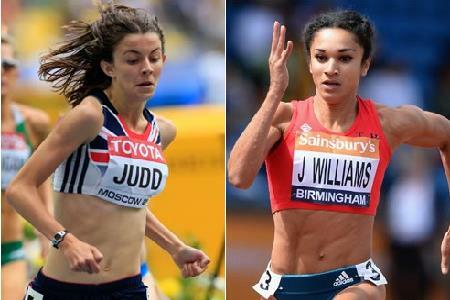 At last summer’s World Championships in Moscow Williams finished fourth in her 200m heat and Judd was fifth in her 800m first round. Both left extremely disappointed and now they have the chance to prove themselves on a massive stage. Both have run personal bests this summer and are looking good to finally make an impact.